An exhibition marking 200 years since the introduction of post boxes in the Czech lands is currently on display at Prague’s Postal Museum. 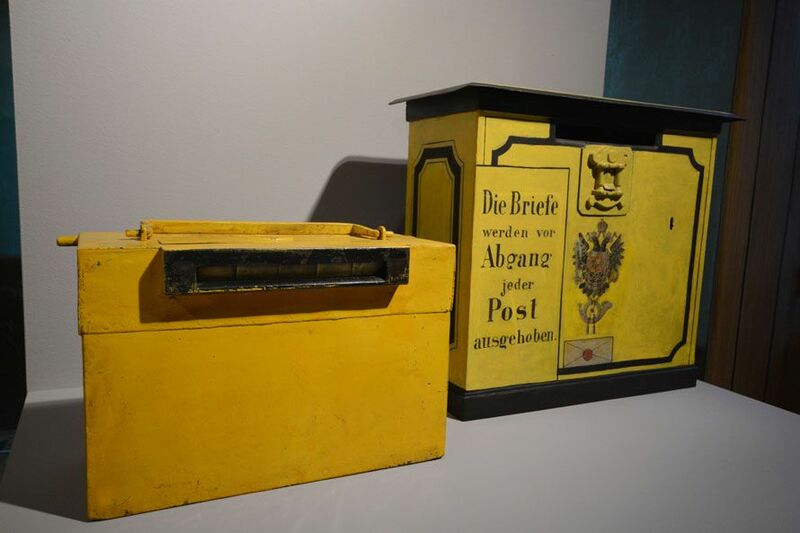 On display are mailboxes from various periods of history as well as related objects. Among other thing, visitors can see the country’s oldest existing post box, dating back to the 1830s. 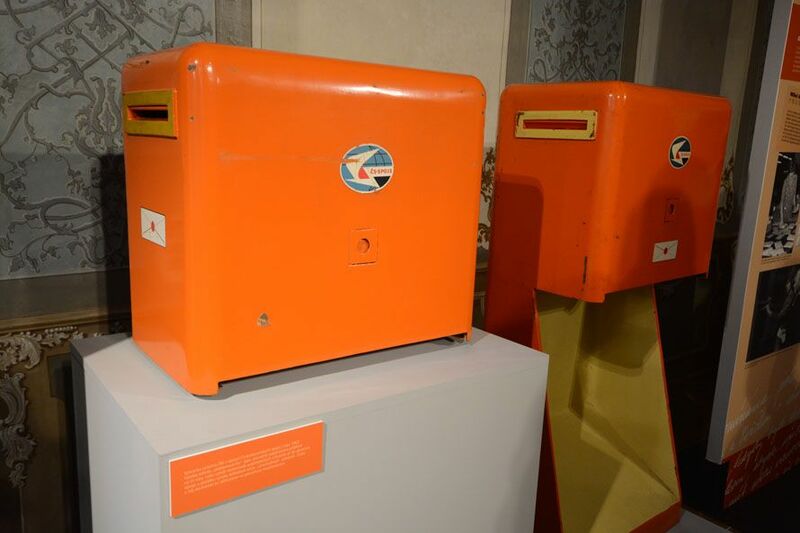 Jan Kramář, photo: Eva Turečková The rectangular mailboxes in bright orange colour, which can be seen around the Czech Republic today, looked quite different when they were first introduced in the Austro-Hungarian Empire back in 1817. 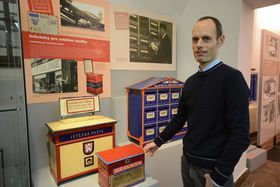 Historian Jan Kramář is the curator of an exhibition focusing on the history of post boxes, which is currently on display at Prague’s Postal Museum. 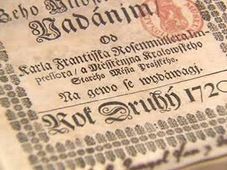 “This is the oldest existing post box in the country, which was installed at the post office in Jihlava in 1817. 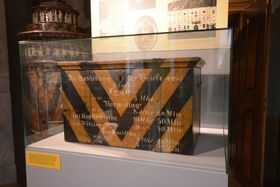 It was made of wood and painted in yellow and black, the Austro-Hungarian national colours, with German inscriptions on the front side. 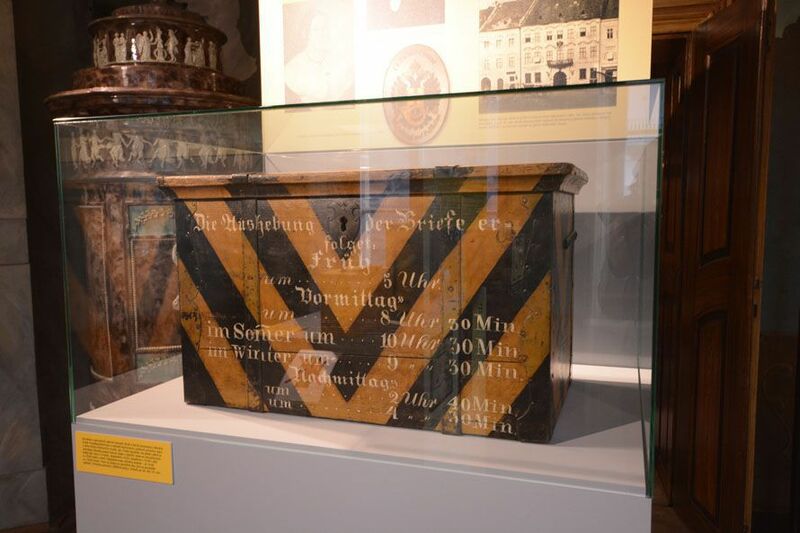 The first post boxes appeared in the Austro-Hungarian Empire already in 1785. 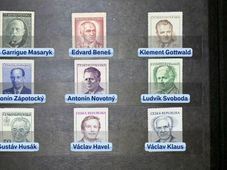 They were installed in the capital Vienna and only served privileged individuals and institutions, who were not required to pay any postage fee. With the introduction of stamps in the 1850s, post boxes started to become more common. 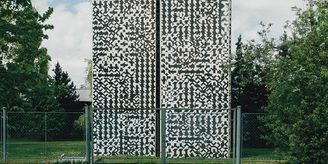 At first, they were only placed inside post offices and other buildings, but you could soon find them in all the city’s busy streets and squares. In the early 1870’s mailboxes also found their way to the countryside. 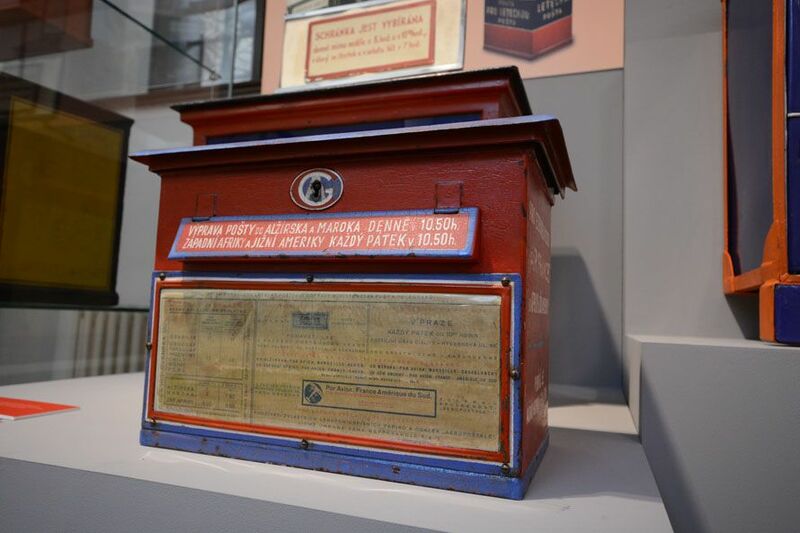 In 1869, the Austro-Hungarian authorities issued a regulation unifying the post box design. 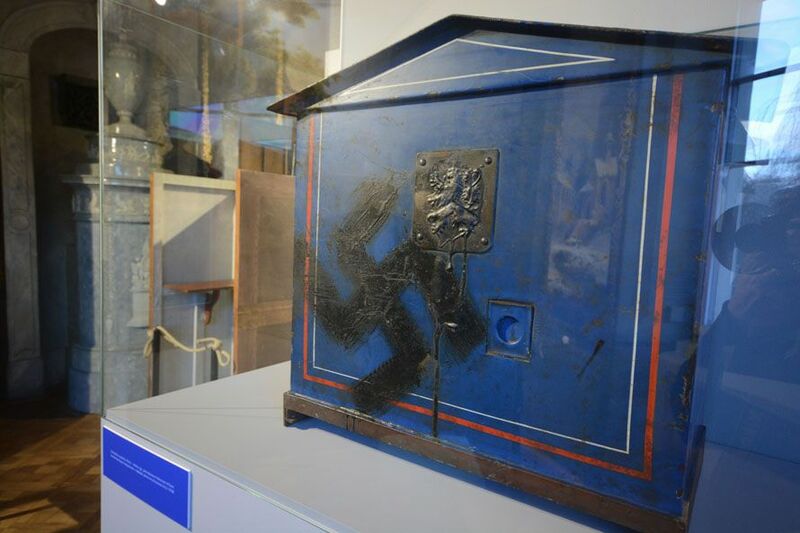 From then on, all mailboxes were made of metal, with the Austrian state symbol and a picture of a letter painted on its front side. 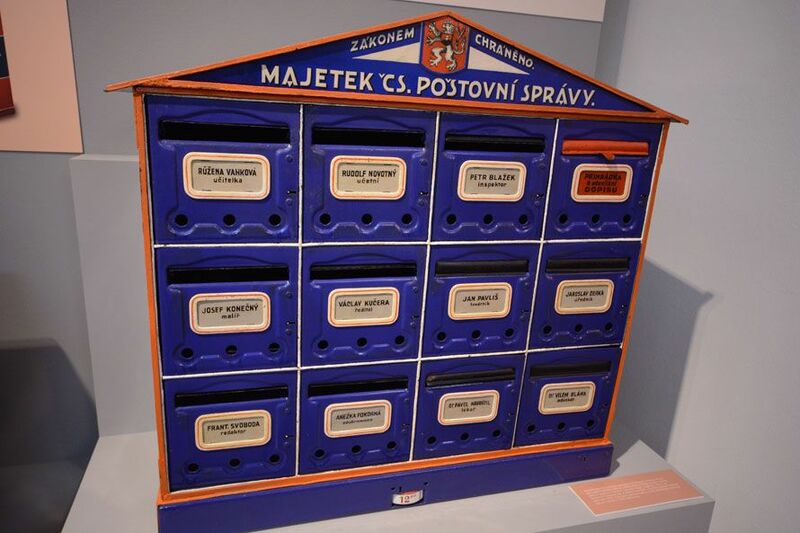 After the fall of the Austro-Hungarian Empire, post boxes were taken over by the Czechoslovak Postal administration and repainted in blue – the national colour of the newly formed state. The colour changed again in 1963, when it became bright orange, as we know it today. The numbers of post boxes changed over time as well. While in the 19th century, there were just a few hundred of them, during the First Republic, there were already around 30,000. In 1984, their number exceeded 35,000 and ever since they have been dropping, to around 21,000 today. 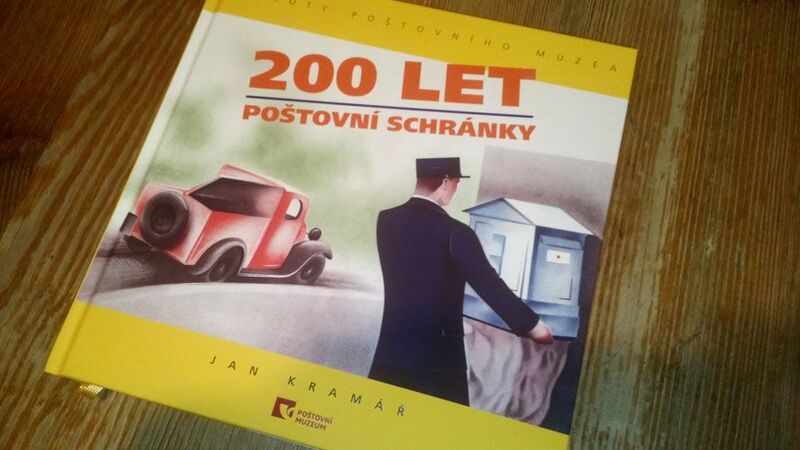 According to Jan Kramář, the gradual disappearance of mailboxes is a natural development. 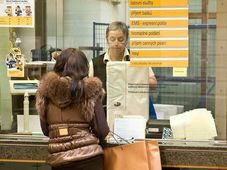 While in the past, the bulk of post offices’ income came from delivering letters and postcards, today mostly deal with parcels. At a time when written correspondence was the only way of communicating with distant friends and relatives, post boxes were available not only in streets, but also on trams, buses or ships. You could write a postcard while travelling somewhere on a bus or a train and mail it immediately. 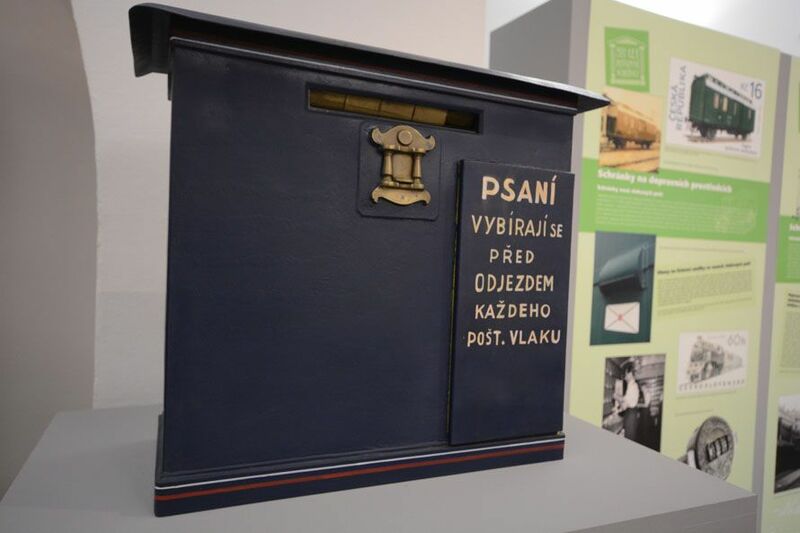 The exhibition at the Prague Postal Museum showcases all kinds of interesting objects relating to the country’s postal history, such as special mailboxes serving the Prague Pneumatic Post, the world’s last preserved municipal pneumatic post system. The underground system of metal tubes first appeared in the capital in 1899 and totalled about 55 kilometres. It remained in use by the government, banks and the media until the floods in August 2002. 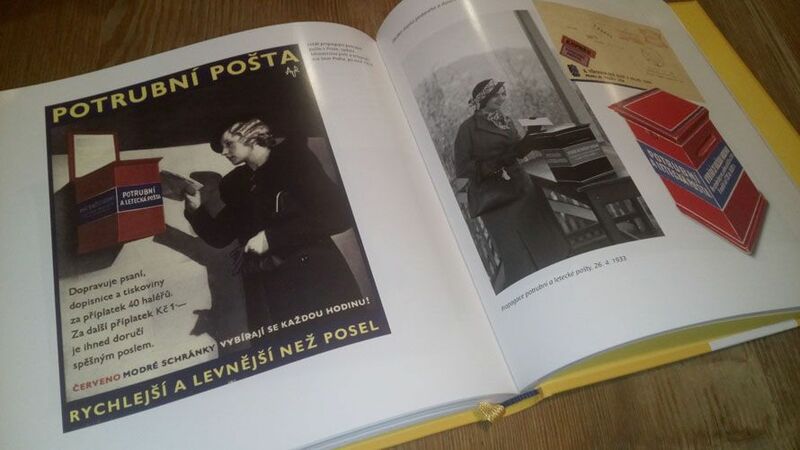 The exhibition at the Prague Postal Museum is also accompanied by black and white pictures of post boxes from all over the world taken by photographer Evžen Janoušek. 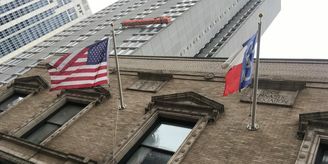 It is on display until the end of February.